Welcome to THG StarDragon Publishing. THG StarDragon Publishing started out with only the works of Teresa (L.) H. Garcia. Now THG StarDragon Publishing provides editing services, publishing advice, writing coaching, as well as publishing fantasy, sci-fi, poetry, and spirituality books. Teresa Garcia also contributes to the online role-play game Dragon Hearts by designing seasonal quests with quirky storylines. Be sure to follow the THG StarDragon Publishing Blog for news, contests, sales, and sometimes a gift or two. Explore thoroughly, and remember... We are “following the Spirit” here, so as our offerings grow whole new worlds open up. If you’re interested in working with us, check out the submissions guidelines. If you are a book store, and do not wish to order through Createspace, then please email me at ladyrainstardragon@hotmail.com provide your shipping address, the titles you wish to order, and the number. So that your order is not missed, please use the subject "Book Order" in the subject line. I will then make the calculations and invoice you via Paypal. Payment must be received before I will have the books shipped. If I do not have any on hand then orders may be slightly delayed while I have the next run produced. We also have a Facebook and Twitter page, please be sure to look us up and like us, to help spread the word and help advertise our authors and projects. THG StarDragon Publishing is a group of individuals working together to make various publishing projects possible, and is not an incorporated entity as of yet. The purpose for working together is to promote the individual voices of authors and poets that might otherwise not have assistance in getting their work in print. We are not a big publishing house, but do strive to make for quality work, and work asynchronously. As we are asynchronous, the majority of communication is to be done via email. Patience is asked to give us time to reply, as this is not a full time job. Please do not ask for nor demand phone numbers. In the event that you are provided a phone number for someone and do call, please remember that you are more than likely calling that person's home and not an office. Also please refrain from handing those out without prior clearance. All books that are accepted to be published under the aegis of THG StarDragon Publishing MUST go through the editing process. The more polished you have your work before bringing it to me then the faster it goes through the publication process and the less that will be asked for editing and conversion. If you are interested in publishing with us, please see the submissions guidelines page for what to do. Eldest child of a Correctional Officer, Teresa Garcia felt an early urge to make a beneficial mark on the world. She excelled in school, and soon discovered a passion for writing and painting. These were eclipsed at first by a fascination with geology and psychology, and it was those interests that she carried with her into college. After marrying and devoting herself to her now growing family, the new Teresa Huddleston-Garcia found herself writing again, at first, as a way to relax. As time passed and her first child grew, soon followed by another, she found herself spinning new tales at bedtime. She began writing these down and then showing them to others, looking to practice writing again, since she had let the dream of publishing a novel slip away before. With encouragement, she decided to try again, and Ryu and BlowingWind soon blossomed into Dragon Shaman. Eventually, the need arose for her to separate from her husband and reclaim her maiden name, thus deciding to release all her future books under that name. She is a stay at home mother of one autistic boy and one rather stressed girl at the time of this writing. Somehow, while caring for her two special needs children, and her own stress in addition, Teresa finds time to write, assist with the administration of the online RPG game Dragon Hearts, write quest lines for that, do artwork, and keep up on the chores of running a household. In addition, she is also currently pursuing a Bachelor's Degree in International Relations concentrating in Asian Studies, and hopes to one day become an Asian Studies professor. Said studies seriously impact her free time, which she counteracts with online ministry via Second Life and offline nondenominational/interdenominational ministry in her area, including the honor of officiating the occasional wedding. Positions and services: Founder, Proprietor, Author, Head of Publishing, Head of Orders and Shipping, some editing, and some cover art. Faith Lindgren-Brown has an intense love of writing, and is always looking for a good read. When her friend Teresa Garcia asked her to edit her novel for her, she was thrilled. Faith intends to have her own editing work, so is available free-lance for any manuscript, whether proofreading an essay for school, or editing a full novel. One of her poems was also recommended to and accepted into the Library of Congress while she was still in school, so she is a published poet. Her eyesight due to her advanced diabetes has required her to resign from active print editing, but she can still help with aural editing feedback for wordflow. Ever since dreaming of being an author and illustrator as a child, Victoria "Salaiek" Davis has worked on her skills through school and beyond, eventually finding herself doing illustrations for the browser role-playing game, Dragon Hearts . Here she met Teresa, being offered a chance to design the cover for the second book in the Dragon Shaman series, then later other books published by THG StarDragon Publishing. Her most recent project was doing the new cover art for the first book of the Dragon Shaman series so that they match in style. 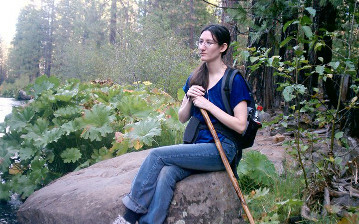 Her artistic focus lies within the fantasy realm, especially dragons and similar critters. She is also inspired by the green and grey forested mountain landscapes of her native Pacific Northwest. Samantha Buckley has always been passionate about her art. She is a lover of anime, manga, and all things Japanese. She is currently a student at the Art Institute of Sacramento and plans to transfer to the Art Institute in Texas after her first semester. She plans to one day have her own manga company and intends her first manga to be distributed by THG StarDragon Publishing as one of her venues, and was agreed on by her aunt at the McCloud Lumberjack Fiesta of 2012. Her first project with THG StarDragon Publishing is the print version cover for the fantasy novel Selkies' Skins: Castle and Well, which is book one of the Selkies' Skins series. 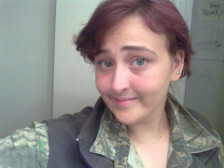 "Liz" at the time of last questioning was considering teaching history or becoming a veterinarian. She is currently one of the proof readers to ensure that the greatest number of mistakes are caught before press. She is inspired artistically by the beauty of the Northwestern high desert and vast pine forests that bake below the mountain. Marantha was one of our authors, but she has also provided cover art for Ayam Abraxas’ AyaMayA and her fanart of Selkies’ Skins was chosen for use with future illuminated edition of that work and an excerpt appears as section divider art, thus earning her a place as a cover artist. She also has provide all her own cover art for her stories (both already published and still being edited and prepared for release). Marantha is greatly missed, and promises made to ensure that all her works are published will be kept. Rowan Wookey, genius and the man that IS rwky.net, not only maintains this website for his friend (and subcontractor) Teresa, but also is the creator of the online RPG Dragon Hearts, and attends University to keep his web programming skills up to date and aims to one day be Professor Wookey. His software is commonly used as well, which was a very pleasing discovery. As the man that makes sure the site works to provide the portal between us and you, the reader, we sometimes must bow down to him (figuratively) because he also quite often fixes temperamental computers for Teresa when they declare mutiny and eat into writing (and other) time. Verily, a very important member of the team, for he squashes the bugs mightily. His favorite food is pie. This is important to never, ever forget. Deadline for submissions to volume one was July 31, 2013. Deadline for submissions to volume two is July 31, 2015. THG StarDragon Publishing is gathering submissions from authors and poets of all ages (including children) for "The Dragons' Beads: A Treasury." We are suspending the former page limit, as it was proving difficult for some to feel comfortable constraining themselves. Please make submissions on standard sized (8.5 by 11 in) or A4 paper, or at a similar size in .doc, or .odt, format if submitting digitally. Digital submission is preferred to minimize retyping. CD media format is also accepted. When submitting, please include your age so that submissions can be filed in the correct area of the project. By submitting, you are granting the right to include your submission in the publication and that you have parental consent if a minor, and consent to publish. Given the age level intended, This will be THG StarDragon Publishing's first anthology by (hopefully) young readers for young readers. Given the age level intended, *ALL SUBMISSIONS MUST BE APPROPRIATE FOR GENERAL AUDIENCES. Depending on the success, more anthologies may be forthcoming in the future from the press. Editing will be done by Teresa "Amehana" Garcia (author of the ongoing Dragon Shaman series) and Faith Lindgren-Brown (editor for Dragon Shaman 2 and the forthcoming titles of the series). Cover artist is Victoria "Salaiek Tuarann" Davis, who has also done art for the Dragon Hearts RPG and for the Dragon Shaman series. Please, do not submit fanfiction to this anthology. An exception to this will be fanfiction of Teresa Garcia's works, or one of our other authors if they have given you permission (I will check) if you clearly state before your submission that it is fanfiction. The reason for this is entirely legal. Teresa can grant permission for people to write fanfiction in her universe of stories, but if we publish fanfiction without clearance from another author then it would be possible to loose the ability to serve you. If you are in doubt, ask. Please check the alt text of the previous image if you have images turned off. Please note, original copies or disks will not be returned, so please keep a copy for yourself. By sending a submission you affirm that if you are a minor you have parental permission to participate (in the case of young authors). Those selected for inclusion will receive a free ebook copy of the book and will be eligible for a discount on the print book when ordering through email. Should the anthology sell well enough to cover production, each participant will also receive a small cash prize, so please include a mailing address to be kept on file. We are also interested in other submissions. Please feel free to email, just be sure to include a subject line "manuscript submission query" to prevent your submission from being overlooked or filed as spam by the email filter. This is our current catalog of audiobooks. Please follow the links to the currently available formats. If there is a format that is not available, that you would like, please make a request via the comment box, including the title and format you are looking for. For print copies, please see our print catalog page. Currently, ebooks are available via Amazon, Audible, and iTunes (you will have to use iTunes search feature) and are being recorded to audio format through ACX. Right now all audiobook titles are only available through the listed three outlets due to royalty share contracts (unless otherwise noted). Thus by purchasing one of the audiobooks you support both the narrator AND the author, enabling both to be able to produce more content for your enjoyment. If you are interested in being a narrator for any of our titles not currently available, please email the owner of the publishing house and she and the title author will be happy to negotiate. For open projects please check the blog page. Magic is that breath never quite caught, Flowing always just behind the scenes, And only glimpsed when sought. The spirits of the past and present call out to those with the ears to hear. The worlds of the Kami and Mankind are not far apart, and perhaps the border is only in the mind. Primarily this was intended to be a collection of poetry inspired by and retelling some stories from Japanese mythology and feeling the path of Shinto generated while working on my first novel. However, it has become much more. Meditate upon the poems and a flower unfolds slowly before your eyes, allowing a glimpse into a world unseen. A collection of three short stories, from the life of Lightning, a real live care kitty. Lightning has a lot of work since his family consists of one perpetually stressed preteen, a young autistic boy, and a mother balancing university, children, and being an author. Join Lightning in his adventures as a care kitty. Contains a special extended version of "Lightning's Job" as well as "The Battle of the Tomato" and "Disarmament." "Lightning's Job" introduces us to Lightning, and his love of a particular red fruit. In "Battle of the Tomato" see whether he gets his way and wins his tomato. Join Son and Lightning in "Disarmament" while Lightning saves the day and makes the path back to the apartment safe for Mother to bring in the laundry. Good for helping show children some of the many things service cats (care kitties) do, as there are more service animals than just dogs. Lightning's stories are meant as stand-alone mini stories, but it was suggested to bundle them, as well, for children to listen to. Five short stories of dragon spirits and ancestors, in a Japanese milleau. Some are set in ancient times, others are more modern. Each short story that has new vocabulary has a mini-glossary of Japanese terms that were utilized. Kirsty, part Selkie and part magical human must find her place in the world and earn her sealskin while dealing with school and the normal trials. Her mother Etain must find a way to come home from the obscure missions Mara sends her on. Will Kirsty earn her skin before Etain comes home? Will Etain even make it home at all? What are these larger problems beginning to billow like storm clouds? For superna refuge leader, Hathim, being in the middle of a centuries old war with the pure-bloods was bad enough. He certainly did not need the added burden of learning that there might be a traitor amongst those at his refuge as well. That all paled into insignificance, however, when rumors began spreading that the humans had developed a poison lethal only to hybrids. When members of his own refuge begin dying of a strange illness, Hathim knows he has only one recourse... He must track down and totally destroy the place that is manufacturing the poison, and its creators. His biggest challenge? Staying alive long enough to do it. This is our current catalog of ebooks. Please follow the links to the currently available formats. If there is a format that is not available, that you would like, please make a request via the comment box, including the title and format you are looking for. For print copies, please see our print catalog page. Currently, ebooks are available via Smashwords, Lulu, though some can also be found on iBookstore, in Amazon, and Barnes & Noble. Smashwords is suggested as it provides a wide variety of formats. Prices may vary across the available outlets. You may also email a request for a title directly to the publisher at ladyrainstardragon@hotmail.com. Please specify the desired format and title, then you will be invoiced via PayPal. On receipt and clearance of payment for direct sales you will receive your ebook as an attachment in your email. BlowingWind, a young woman of Native American and Celtic descent, falls in love with Obsidian, a boy she at first believes to be human but later discovers on the night of her 18th birthday to be the guardian spirit of Medicine Lake, near the sacred Mount Shasta in California. The night before her High School graduation he meets with a bad end, setting her journey of self discovery in motion which ultimately takes her away from everything that she knows and to Japan. There, as she searches for what the soul of Obsidian wishes her to find at the foot of Mount Fuji she meets with Ryu, a spirit of the mountain and bearing a striking resemblance to the soul she is searching for. By the time these two meet her own spirit is shattered, and it is up to Ryu and a mysterious concurrent incarnation of Obsidian to begin the process of healing her spirit and mind. However, she has her own destiny that waits to be fulfilled, and spirits from both her old and new lives have tests for her. BlowingWind and Ryu expected to be able to get on with living, but Fate has a different idea for the young Shaman in training and her Dragon Protector. A Kitsune and two Tengu are responsible for tests of her character, and her most prized tool is stolen from her. The pair must travel worlds and even time in this quest and leg of BlowingWind’s rocky training, and interesting facts about the O'Drake curse are revealed. The question is if she will remember them, and if she can regain what was lost. Delving further into the O'Drake family as the curse and its eventual end plays through, the focus follows more of Marie and Marcella's history. We may even learn the reason that Marie and SoaringHawk give BlowingWind the name that they did. A reunion of Marie with her wayward daughter BlowingWind draws closer, as does young Jewel's place in the complicated tapestry. Ryu really has his work cut out for him, but what is a lonely dragon kami to do... other than attempt to figure out how to restore the brightness that once was... Why does he begin to feel more and more at fault for something he wasn’t even alive for? Kirstin Makay is a half-selkie and a witch who must train for the quest to gain her own skin. In the library of Castle Carrick she finds "The Book of Seals," part mythology and part guidebook. What does the book have to teach her about her heritage? We join Kirsty for part of her second year at Castle Carrick and read along with her to learn the secrets Father Ronan sought to preserve. A prequel to the "Selkies' Skins" series which briefly crosses over with the "Dragon Shaman" series. Selkies are Scottish seal people, and are considered magical shapeshifting creatures, able to interbreed with humans. Spoken of in many old stories, the females are said to make caring wives, and the men to be charming and good lovers. If their skin is captured, they will remain on land, though more is heard about women being captured than the men. If they find their stolen skin, they will return to the sea and any mate or family therein, though remaining nearby to watch over their land-children. What happens though, if a Selkie never manages to reclaim her skin before her death, and so remains with her children? What happens if her family is a magical one, and her subspecies had been created by the cooperation of sister water goddesses? Further, what if the drive to return to the sea remains strong in the offspring, and as servants of these goddesses, provide their care despite being disliked and untrusted by both full blooded Selkies and humans when found out. We come then to modern times. First a fishing family, favored then by fortune and Marsali's magic, the Makay clan grew to a merchant family that went on grand voyages for the good of the Magical Community. Few now remain, and those are now waterwitches, primarily interested in tending duties set by deities that few believe actually exist, and the health of the waters both locally and planet wide. Kirsty has little choice in her fate, only how it will manifest. There are tests to pass, a place that she may have to occupy prematurely if her visions prove true, and a need to earn her sealskin to be complete. Will Etain return safe to port, and will Kirsty survive her training and test? At Seal Point two half selkies share their family's traditional Yule habits with some long lost full selkie relatives. Not all of their family is at home, and some will never return. Yet, they are still included. Set in a parallel Earth where magic and mythical creatures still lurk. A Short Story from the Selkies' Skins universe. The character Amehana also makes appearances in the Dragon Shaman series and in Stories of Spirits. Dreamweaving pits Diamondixi, a Dreamweaver, and Amehana, a storm ryuugami and priestess, together with Diamondixi's companion ice phoenix in an effort to save the halfbreed selkie Justin from the fate of ultimately becoming a Finman. But, is the effort real, or is it just a dream? Or is it both and perhaps something more all at once? This story is written at the request of Kristina Stumpf, who was a backer for the Selkies' Skins Kickstarter project. Starting in the area of Mt. Rhiana in the realm of Dragon Hearts, the three erstwhile heroes cross from one world to another and into the reality of Selkies' Skins. There, Diamondixi crosses into the dream of a young lad that had been kidnapped long ago. Khrystiana had always been different, a difference that had kept her from being chosen from amongst the other children at the orphanage. She had always been more or less alone, for not only the children mostly avoided her, the staff did as well. Khrystiana would learn on her sixteenth birthday just how different she truly was, due to a series of event that would occur... Events that would prove that she had not been as alone as she had always thought. Specifically for young children and families, join a little girl as she explores what makes her family different in the area of religion and spirituality...and how it makes her feel to know the world is so big. Lightning the cat identifies as both cat and human due to his upbringing. He has a very important job, make sure that the household runs smoothly, which means make sure that Mother remembers to take care of herself, not just everyone else. A short and sweet child's story, this is just a glimpse into the life of Lightning, who eventually will have other tales to share. Lightning the Cat has a very important job, to ensure the household runs smoothly. But sometimes, he just can't help a little mischief, especially if a tomato is involved. Join Lightning as his series of short stories starts rolling. Ah, it's a cat's life... This story is intended and written for young children. Lightning the Cat has a very important job, to ensure the household runs smoothly. Even more important though, he is a registered care kitty for a little girl that has been with him since almost day one of his life. Keeping Mother, Daughter, and Son happy and mentally healthy is no easy job! Especially as Son, an autistic boy, starts sharing his world with the family finally. Magic is that breath never quite caught, Flowing always just behind the scenes, And only glimpsed when sought. The spirits of the past and present call out to those with the ears to hear. The worlds of the Kami and Mankind are not far apart, and perhaps the border is only in the mind. Primarily this was intended to be a collection of poetry inspired by and retelling some stories from Japanese Mythology and feeling the path of Shinto generated while working on my first novel. However, it has become much more. Meditate upon the poems and a flower unfolds slowly before your eyes, allowing a glimpse into a world unseen. Elizabeth Buckley gathers a collection of poems from the points of view of some of her characters. The Beast, the Hope, and the Only Sun provides snapshots into their development. Written as a high school student, the poems also reflect a journey out of depression, from start to the shining light at the end. Who are the Beast, and the Hope, and who or what is the Sun? Part poetry book and part prayer book, this collection covers all aspects of life. Fly in the arms of the creative spirit, dance with the Goddess, and explore the layers of the soul while learning about the Sacred Marriage. Lightning has a lot of work since his family consists of one perpetually stressed preteen, a young autistic boy, and a mother balancing university, children, and being an author. Join Lightning in his adventures as a care kitty. Contains a special extended version of "Lightning's Job" as well as "The Battle of the Tomato" and "Disarmament." "Lightning's Job" introduces us to Lightning, and his love of a particular red fruit. In "Battle of the Tomato" see whether he gets his way and wins his tomato. Join Son and Lightning in "Disarmament" while Lightning saves the day and makes the path back to the apartment safe for Mother to bring in the laundry. Good for helping show children some of the many things service cats (care kitties) do, as there are more service animals than just dogs. This book is intended and written for young children. Books in this category may at some point include a wide variety of views. Please remember that all spirituality and religious books are welcome at THG StarDragon Publishing, so long as they are not disparaging of other views. This means that you may eventually seen Gnostic Christianity right next to Paganism or General Spirituality. My purpose is not to convert anyone, but to share knowledge so that others may make educated decisions about what other walks of life are like. Tarot, Kabbalah, Christianity, Shinto, Buddhism, Taoism, Metaphysics, Psychology, Philosophy, Alchemy... What do these have in common? More than you might think at first. Ayam Yogi Abraxas shares the fruits of his studies and how to practically apply these in daily life. More than just an introduction, there is something for all levels of understanding here. Even someone unfamiliar with these will have a better understanding of their own thoughts. This book explores teachings from the Bible, the Torah, Taoism, Shinto, Kabbalah, Hindu mythology, Buddhism and several other philosophies, as well as the author's own experiences. Part practical and part esoteric this treatise is both lighthearted and serious, encapsulating the yin and the yang, and the Oneness of All. Meet the Ayam and the Maya in you. One additional note: Although the publisher is in the United States, the author is from Canada. Thus, this book has been edited with British Canadian spelling and grammar in mind. Books in this category are so placed due to content not intended for minors. Please use your discretion and common sense. Some of these title may contain trigger issues or scenes inappropriate for children. Some titles may be seeking to explore finding spirituality in places one might not expect to find it. Please read responsibly. A journey through the corridors of past, present, and what be. What lurks in the darkness where only the brave tread? Joy, sorrow, longing, loss, devotion... and ever more questions. Set sail with Steven Disney in his second book, and drift in the seas of the mind. Amethyst seeks to explore the connections between sexuality, reproduction, and spirituality in a non-human, plant based fictional society. This will be released as a series of short stories that she intends to have written in a "related, but can stand alone" style. The series is unfinished, but she can only explore Jardinia sporadically. Ordering your book from the Amazon, Lulu, or Createspace outlets is faster than ordering from the office, as a very limited amount of stock is on hand at any time as Teresa runs her publishing business at home. However you can order through the publishing office via email and you will be invoiced. If you want an autographed copy of one of the books it will cost a little more to account for shipping to the author and then the author being able to ship the book on to you (or whichever way is most convenient in your individual circumstance). If you already have a book on hand that you want autographed, it is best to email the publisher or the author to work out how to best get that done with the least cost. Price varies depending on the outlet due to the variation in printing costs. These may fluctuate from time to time. Prices do not include Shipping. They will be calculated in your cart at your chosen outlet. Createspace and Amazon are awaiting the new cover art for edition two, at which time the first edition will be retired. Emphasis will then shift over to Amazon and Createspace due to the high costs of Lulu (which charges double since they order from Lulu). Right now it is much cheaper to order this book from Lulu. The second edition is now available on Lulu. Every girl yearns for adventure, romance and magic in their lives. BlowingWind had all of these and lost them, just as she was starting on what she thought would be the greatest adventure of her life. Now, she is being called out by the forces of life and undertaking the journey into adulthood alone. However, journeys always seem to entail healing, and a quest to find her lost love turns into something even greater. Take Ryu is a boisterous magma ryugami trapped for five years beneath Mt. Fuji for the crime of becoming too engrossed in human affairs. Upon the end of his imprisonment he emerges to find a strange and undefended shaman woman within his territory. Falling prey once more to his kind heart he too is swept up in the threads of a destiny that neither human nor dragon could have ever believed. BlowingWind, though still yearning for her lost love, must move on as painful as it is. Still following the quest she was called upon, she must now look inside herself for the strength to find out who she really is. With an impending move to Hokkaido, a rambunctious love-struck young dragon, a Kitsune that is still roped into helping test her, and two Tengu that are still applying her tests, which world is more important? What will she see when looking into her obsidian mirror? What is the next chapter of her life and training? What happens when she isn't even allowed to start setting her roots firmly in one world before a trip to another? Sharon Maitland discovers shortly after her sixteenth birthday that her entire life had been based on lies. That proves to be the least of the shocks that she would undergo in the months following her birthday – one of which would forever shatter her belief in reality as she had always known it. There is a key choice that she must make, upon which the fate of her life and the world rely... but what is it? Follow the ups and downs of a brave heart through the course of one year. This is our first acquisition from an external author, and we are thrilled to be hosting his edgy and eye opening work. Love and loss, peace and longing, the hardships of solo and family life, all mulled over. Not suitable for small children. A journey through the corridors of past, present, and what be. What lurks in the darkness where only the brave tread? Joy, sorrow, longing, loss, devotion... and ever more questions. Set sail with Steven Disney in his second book, and drift in the seas of the mind. Not suitable for small children. If you would like to pre-order, please use the contact form to request placement on a mailing list to receive pre-ordering information when it becomes available for the below and other titles. Selkie Songs will contain “Dreamweaving,” “Ornaments,” “Book of Seals” and the various poems and songs from Selkies’ Skins...along with other poems and short stories that the main book generates. Mayna never had an easy life. Her mother loved her dearly and only wanted to ease some of her pain. A simple gift of a ceramic unicorn, flawed, takes the two on a magical journey to another world. In a world full of danger and magic Mayna and her mother must learn how to use a birthright they never knew they had. An old witch must atone for a wrong she committed. Can this trio save two worlds? From a scientist's point of view creating zombies is the only hope to protect the planet, at the cost of losing the human race. Creating the toxin to create zombies, however, ends up proving the existence of the old Voodoo stories of zombies being closer to the truth than she thought. Some zombies are more complicated to kill than others for reasons she has yet to discover. Maybe she should have thought more carefully and been more careful what she wished for? Join child author Athena Garcia to discover why one doesn't want to be alone. A collection of prayers and poetry from a witches' point of view, but an exploration of love and the soul accessible to all. There are also other stories by Jo Anne Spiese that are planned for when we get to that part of the work queue. A collection of art, poetry, stories, and essays from the creative members of the Nova Echelon and Astrid Sector Alpha groups from Second Life. For signed copies please choose from the list below, signed copies cost at least $10 more than the regular copies to compensate for the extra shipping and handling. Please inquire about larger orders for a greater savings. The prices here are a courtesy estimate only. Some titles might not be available in signed copies right away, but all orders will be honored. Prices do not include Shipping. That will be calculated and you will be invoiced via Paypal, and international customers should expect higher shipping costs than continental US orders. Payment is required before shipment. If you ask for multiple titles then the shipping will be combined. If you do not see a book you want on this list, please email a request or send your request via postal mail. These are not kept in stock and will require me to contact the author to have signed. Remember, we have other titles as well. If you want one signed that is not listed here, please do not hesitate to ask, and it will be arranged. Poetry, short stories, novels, young adult, and children's books are all accepted. Both fiction and non-fiction titles are welcome, in any subject. If you wish to submit an adult story for consideration, please clearly label it so, including any trigger warnings, to help prevent accidental circulation for young readers, and so that the Head of Publishing doesn't open the file while children are staring over her shoulder watching her work. Since she works at home that does happen. Submit an initial query and a brief synopsis of your story to ladyrainstardragon@hotmail.com. A reply will be sent on receipt, stating whether or not you have our interest and any questions. With your submission please include a cover letter and brief synopsis, a clear statement if you wish your work to bear me as publisher or whether you plan to use us for final editing and self-publishing assistance, in addition to the sample file. Also please clearly label the subject field: “manuscript submission query” to cut down on your mail being thought to be spam. After I have read the sample file I will request the full manuscript if I am accepting your work. If you are submitting by regular mail please just send a cover letter with synopsis, whether you wish help with self-publishing or if you desire to THG StarDragon Publishing to be your publishing house, and the full manuscript. The right to refuse any submission on any grounds is reserved, at any time. The right to discontinue services to any author (current or prospective) at any time, for any reason, is also retained. The invocation of this right by the publisher only occurs under the worst circumstances. The only exception to this rule will be local or child authors, and those with no internet access. They may submit hard copy to be retyped if need be or otherwise worked with. RTF does not tend to show any special formatting, hence why I am discontinuing support for it unless you are submitting a novel that requires no special formatting. All submissions must be legible sized font, no smaller than 12pt, and must be editable. Files too big for email transfer can be transferred via dropbox, which is a free program to install and use available at www.dropbox.com. The link given here is a referral link, if you use this to sign up, you help us earn extra space. Please only submit manuscripts that you at least have a full first draft for. Manuscripts where the first draft is still in progress can prove to be too difficult for both you as author, and us as editors. Once you have a finished working draft and submit it, if you still want ideas for areas you are concerned about, that is acceptable. Editing is done separate from publishing. Editing is required before publishing will move forward. The price of editing will vary depending on the length manuscript submitted, and might go up depending on how many passes must be made, or down depending on how free your submission was of errors. A deposit, which is negotiable based on length of manuscript, must be made before the editing process can begin, as the editor (whether Faith or Teresa, or the separate proof reader Elizabeth) must have recompense for the time put in. Submissions by an author 18 and younger for the children’s anthology, or any other such contests will receive editing services free of charge in order to help support young authors. Likewise submissions to any multi author anthology or contest will be free of charge. The editing process will consist of the file being gone over in one pass (actually a series of passes, but this is stage one), and changes noted within the file in a highlighted and colored text, or in comments boxes depending on your word editor program. Comment boxes are PREFERRED as they do not mix in with the manuscript body. Use of the comments boxes and not track changes is preferred. Preferred programs are LibreOffice or OpenOffice, which is compatible with Word. This edited file will be sent back to the author for review. After this pass (stage) two will begin. Stage three will be the final pass before final layout and publication. LibreOffice and OpenOffice are preferred so that it is ensured we can work with authors on Windows, Mac, Linux, Ubuntu, and any other OS. Before: She ran down the hall intent on excape but as she was so focused on getting away from the fetid monster behind her she did not notice the one blocking the ext. After: She ran down the hall intent on excape escape. However, as she was so focused on getting away from the fetid monster behind her, she did not notice the one blocking the exit. The above is one example of how I have provided the markups, for a client that was not familiar with the use of comments in Libre/OpenOffice. Please make the suggested changes if you agree to them. If they are not agreed to (such as a spelling dispute over a foreign word, or a name, or a term created by author for use within the manuscript) please note in the file at the place it occurs and the explanation. Terry danced on the table, keeping time to the music with the drummings of her feet. The dancer to her left kicked too high in his exuberance, sending one of his Smurnoo sailing through the air, only to land in a flagon of mead on the waitress' tray. A hissing preceeded the attack of the ryuu it had belonged to. After: Terry danced on the table, keeping time to the music with the drummings of her feet. The dancer to her left kicked too high in his exuberance, sending one of his Smurnoo sailing through the air, only to land in a flagon of mead on the waitress' tray. A hissing preceeded preceded the attack of the ryuu it had belonged to. >comment:!I usually see the word spelled with one u! Terry danced on the table, keeping time to the music with the drumming of her feet. The dancer to her left kicked too high in his exuberance, sending one of his Smurnoo sailing through the air, only to land in a flagon of mead on the waitress' tray. A hissing preceded the attack of the ryuu it had belonged to. >Reply: I wanted ryuu spelled with the uu to escape the line over it to make the long sound. It is a variation of the romanization. If you like, you could always send a sample of approximately 10 pages for me to go over and mark for free so that you can see the process for yourself. Remember to have comments turned on when you open the returned file! In addition, when returning this file, send an email alerting the editor to be watching for the disputed area. It will be read through again, and then depending on whether it passes or needs further revision, it will either go to publishing, or back for another trip through editing. So be sure to give the editor plenty of time to read through the file start to finish, and do not demand a very close timeline. You will be told what is a feasible timeline, and if any events happen to change that then you will be notified. Poets, please use a hard return at the end of each line. This makes it easier during the typeset process to refrain from messing up formatting that you have intentionally set for your poem. Publishing, once editing is complete, is free. Publisher will take care of the typesetting for the final document. No advances are paid on publishing royalties and your royalties will be paid as they accrue instead. I would love to give advances, but currently the business is far too small to afford doing so, and this is all run out of my personal pocket still. Cost of manufacture must be taken care of before any royalties on a book can be computed for disbursement. You will be responsible for your own income taxes, should there be any generated. Please note: An ISBN costs $125 and the barcode for the back cover is $25. If you want your book available wider than just orders through myself and Lulu or whichever platform(s) the book is printed through, and wish to see your book available in Amazon, Barnes & Noble, brick and mortar bookstores (without fuss), and findable in Engram, $150 is at cost from ONE outlet, which gives no profit, therefore please remit $160 payable to Teresa Garcia so that she can obtain these for you. Or, if you already have them, you may provide them yourself. If none of these options work we can figure out some way to afford it between us on a per title arrangement. Another option that you can elect is for me to use the free ISBN options provided by Createspace, Lulu (should we choose to run your book through them), or Smashwords. These are all things that we can discuss during preparation of the contract. The current printer company being used is a print on demand, so unless sales go well the publisher will not be able to provide complimentary copies, except in the case of ebooks. Regarding covers, you may elect to do your own cover artwork (this must be approved though for quality purposes), or provide a photo that you own to be incorporated into the cover. If said photo or art was taken by someone else, and they have given you permission to use it, you must provide their name to be included for copyright reasons as well as proof. Another choice that may be available to you is to have one of our resident cover artists make your cover, which is our preference. If you go this route, a price for her services can be negotiated, and you will need to provide an idea of what you are wanting on the cover for her to go by, or be willing to allow her to read the working manuscript so that she may come up with ideas. If you decide to have Victoria do your artwork, for example, you will be put in contact with her. You may submit the same story to different publishers at the same time you submit your work to us. However, not all publishers have the same views about the same story being published simultaneously. If you publish with us, and the same story you then publish with another group, you must notify us. We may or may not have to pull publication, depending on their guidelines, and will need a copy of them to be sure of what needs to be done. This is intended for your benefit, so communication is key. If you have been referred to me by a previous client, then you may be eligible for special pricing. With your query, please include who referred you so that those agreements can be honored. Very important: Do not simply label mail to StarDragon Publishing. The Initials “T.H.G.” are indeed important parts of the name. Thank you. Email: ladyrainstardragon@hotmail.com Please be sure to label your mail with the pertinent subject or it might get caught by filters. My phone number will not be publicly listed on this site. My son is autistic and he doesn’t need the phone ringing off the hook, and also I have university classes part of the year. My work has no set hours as it is dependent on many factors, so if a phone conversation is required it will have to be scheduled. Thank you for understanding. If there is a particular person with us you wish to work with, please state that in your mail and your contact information will be passed along. Look for THG StarDragon Publishing on Facebook, or click the link above. Peruse our offerings on Lulu. Some free stories, and eventually some for-charge stories. Ebooks only here. News, submissions calls, and more. Are you looking for official merchandise or art from any of our stories? Then you may want to check out these sites. Some authors or artists will have their own store for their things, and the art may appear in the official Publishing stores or in the Artists’ stores depending on the agreement. Find fine art prints by Teresa Garcia here. There are only a few things her for now, but it will eventually grow as time passes and more art is generated. In addition to being an author Marantha is also a gifted artist. Check out some of her offerings. If there is enough interest maybe we can even talk her into selling some of her story related art. Do you prefer to make stories with others? Do you like role-playing? Have you always wanted to be a dragon? Dragon Hearts is a free text based role playing game within your browser, the story lines are augmented with special custom art, and new challenges and expansions are always under development. It is a (PBBG) Persistent Browser Based Game which means your character is never reset, there's nothing to download all you need is internet access. Marantha’s Blog. Meet and read Marantha unedited. Do you like serial stories, and contributing to the artistic process? Current stories available free to read are "Selkies' Skins" and "Shen's Tale." Donations are greatly appreciated, and once the titles are finished, ebook format will become available. "Selkies' Skins" follows the adventures of two part Selkies as they balance life in the wizarding community, among regular folk, and the secret worlds of water witches and merfolk, while young Kirsty must also find and earn her own seal skin. "Shen's Tale" (currently on hiatus) is a supernatural mystery, wherein Shen must find the cause of what is called the Wraith, and dispell its evil to protect a town from slow demise. Serials also mirrored at Rainstardragon on Livejournal. Comments are welcome on either site. Looking for an affordable and reliable person for your hosting/server needs? I can personally vouch for this person and have had the pleasure of assisting in some of his projects. Do you like SciFi? What about Magpies? Witty banter? Go here, read her books, especially if you like Bradbury's books. 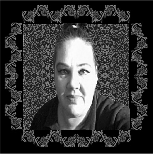 Editor: Michelle Patricia Browne "SciFi Magpie"
If you use Michelle Brown (SciFi Magpie) for an editor before you bring a manuscript to me you will shorten your editorial stage if you are coming to me to be published. I trust her work, and as she is just getting into making herself available to the public you could be helping us both. Are you an author, and you’re trying to find a supportive bunch of other authors to talk shop with and bounce ideas off of? Are you a reader looking for indie and small press writers that are committed to quality stories? Check here. Are you thinking about going through self publishing? This is a straightforward site that gets you directly onto Amazon. If you need help consultation, I am available. Do you want to write, but find yourself currently lacking in original characters? Fanfiction is a good exercise to get the creative juices flowing that help create original characters and storylines. This is a supportive community of writers who enjoy playing with the "what ifs". Some of the members here have even moved on to writing for such series as "Barbie." Do you want to practice writing before taking the full plunge into the wild world of being a published author? This is an excellent place to do it, with a supportive community. Many have started out here and then moved on to publishing in print. Poetry, essays, and songs are also welcomed here with open arms. Looking for a printer? Why not check this company out, they are very easy to use. NookPress is the official Barnes & Noble publishing platform now.